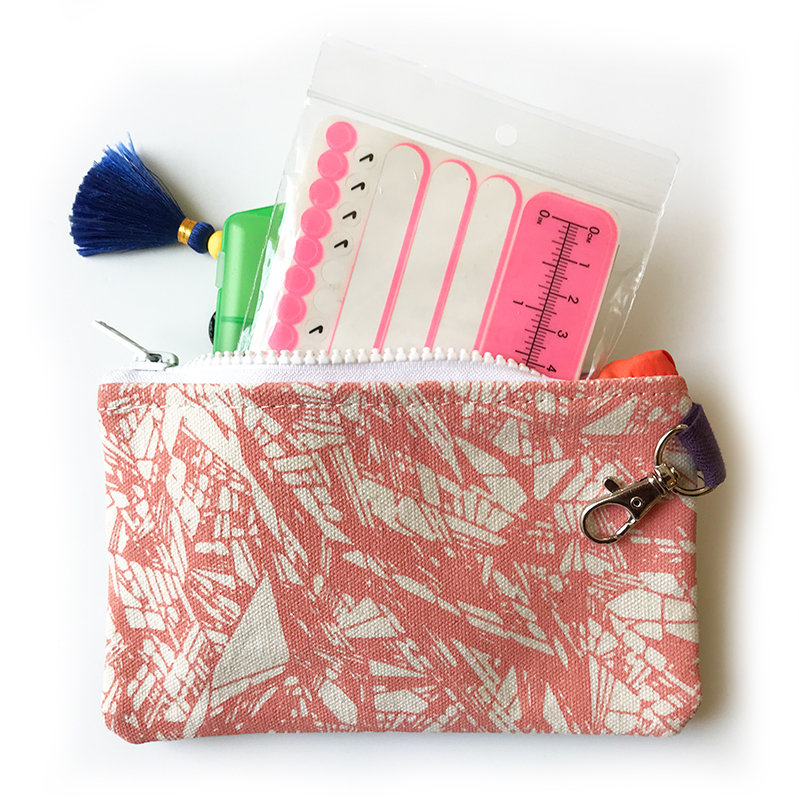 From designer Tim Eads, this exclusively-sized notions bag features vibrant, mix and match fabric, finished with a sturdy, plastic zipper. 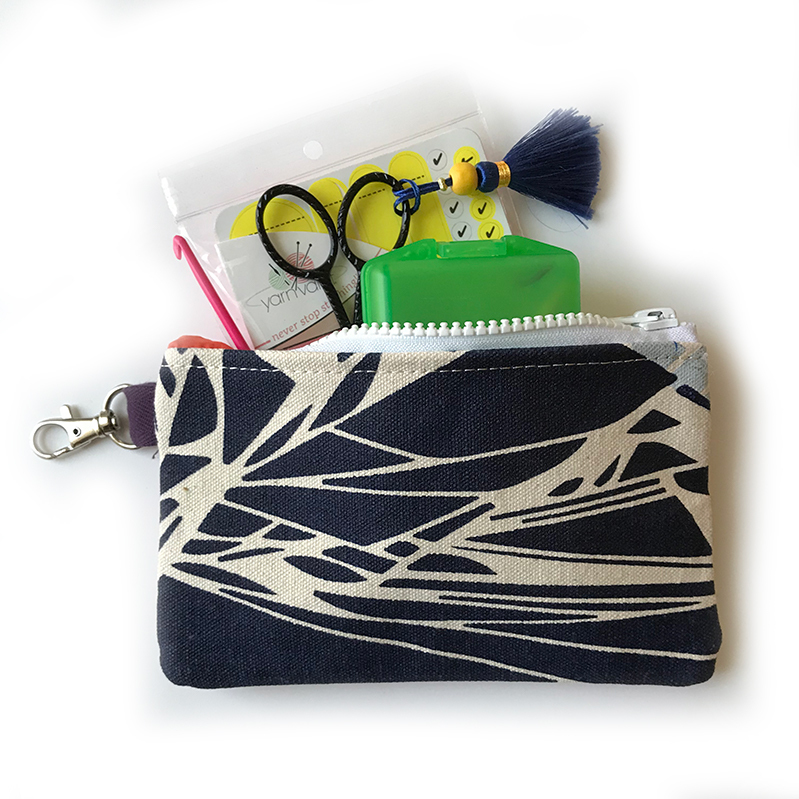 A lobster clasp security tab extends from one side of the bag to allow you to clip it into another bag for safekeeping and easy access. 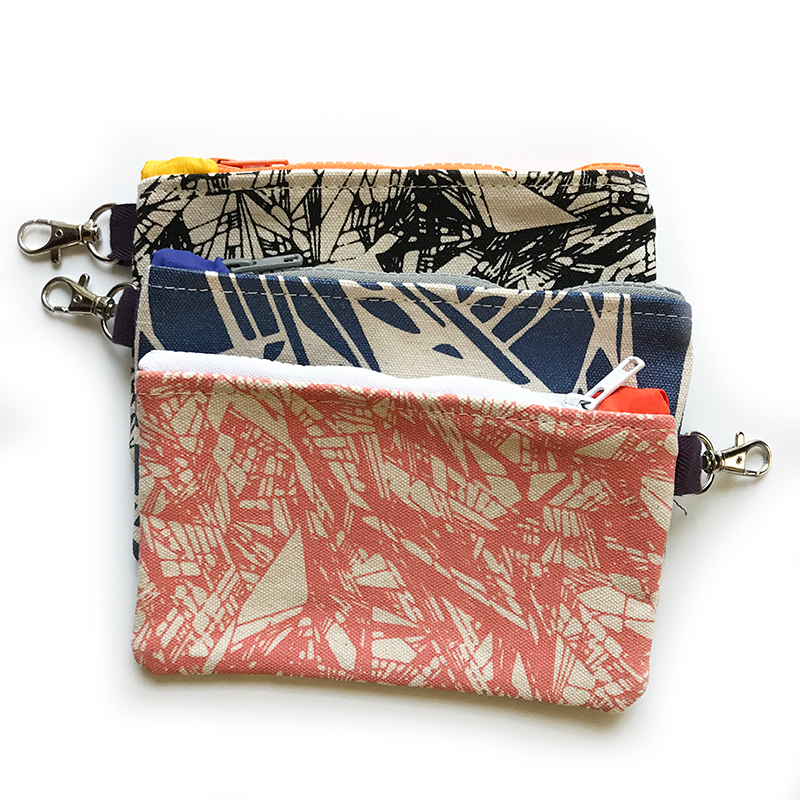 Sized at 4" x 7", receive a surprise color bag with a different fabric on either side.